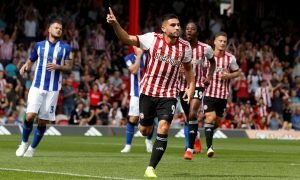 Italian club targeting swoop for experienced Southampton forward | The Transfer Tavern | Where football transfer rumours fly or die! Southampton fans playing poker will be devastated to hear that The Mirror have reported that Italian forward Graziano Pelle could leave the club. The 30-year old has started 15 Premier League games this term, accumulating 6 goals and 2 assists in the process. 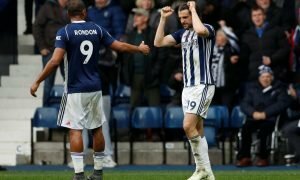 However, the reports suggest that Saints boss Ronald Koeman will struggle to prevent the striker from leaving St Mary’s, with Italian outfit Fiorentina on the lookout for an attacker who can replace the likes of Giuseppe Rossi and Khouma Babacar, who are linked with imminent departures from the Serie A side. Fiorentina are currently 3 points off of top spot in Italy’s top tier and are looking to bolster their squad as they look to push on with their title charge, with Pelle interesting the club from his native country. Southampton fans may recall back to November when their midfielder Steven Davis called Pelle a ‘vital’ component in the Saints squad and would agree, with the the former Feyenoord forward currently standing as the top scorer for the club, despite not playing since November after a stint on the sidelines with a knee injury. 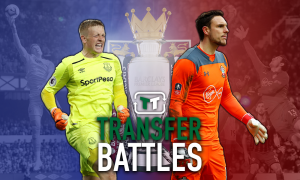 Our Landlord believes that Koeman will want to keep hold of as many of his top players as possible, with Saudio Mane and Victor Wanyama also linked with exits this month, whilst supporters would like to see Pelle remain at the club in order to continue producing goals. Southampton fans, how big of a loss would Pelle be if you sold him this month? Let us know in the comments below!